Get creative with your girls night out. Our idea of a fabulous night out? The key is to exert minimal effort and have maximum fun. 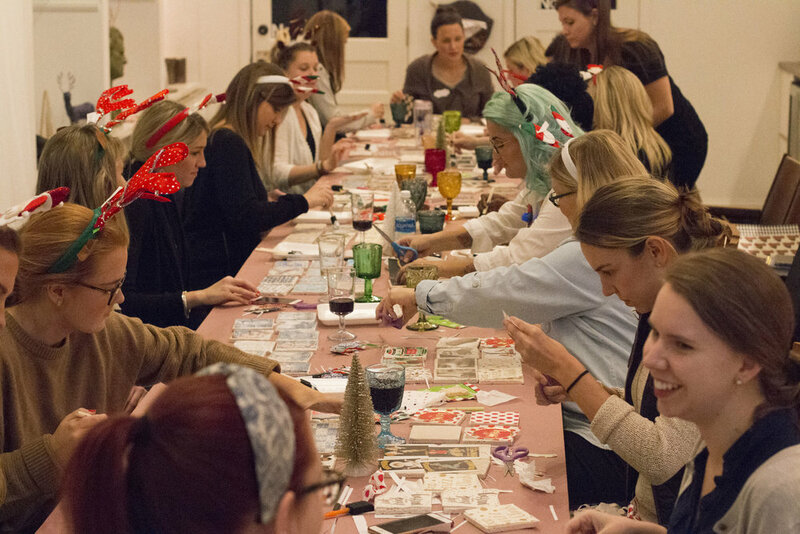 At Pinned in the Lou, we provide creative craft and wine workshops where you can relax with a drink and chat with your girls as you get crafty. The perfect alternative to your book club. Pinned in the Lou has no required reading or homework. Thank you to all of our past attendees! We've made fabulous crafts, sipped on vino, and enjoyed the company of many new friends. Want us to come to you or want us to host your crew? Either way, we cater to all party sizes and would love to plan your next event. Message or call for more info! Map with location and contact us form. Pinned in the Lou hosts their Crafty Workshops at Roar in Webster Groves. For questions or comments please fill out the information form to the right. We promise to get back to you within 48 hours.